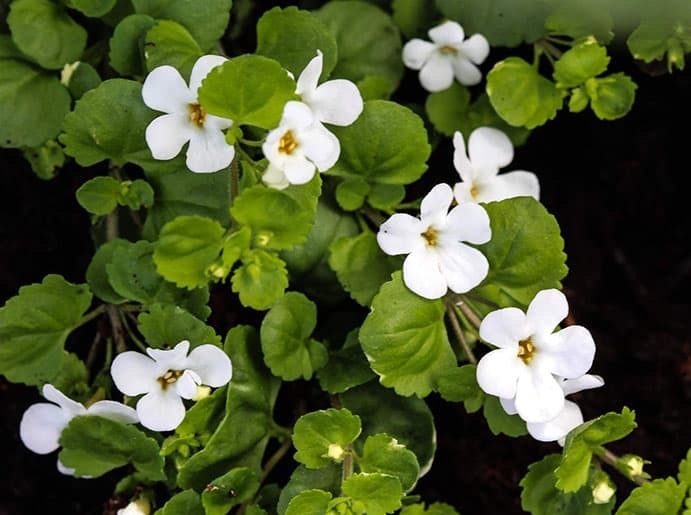 Bacopa monnieri (AKA Brahmi) is a traditional Ayurvedic herb known for its cognitive performance enhancement abilities. 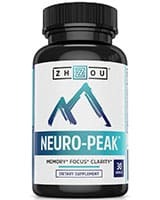 It’s a popular ingredient in herbal and nutritional nootropic supplements — and is also frequently taken alone as a neuroprotective agent. 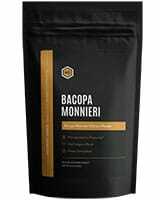 >> Looking to Buy Bacopa monnieri? Click here to see our recommended sellers. What makes this herb beneficial for boosting cognitive performance? How does it work? Is there any evidence to back this up? We’ll get into all of this and more. Bacopa is a small, water-loving plant. It’s highly adaptable and can be found growing anywhere from sea level to about 1400 meters in elevation. As a supplement, bacopa has many uses, primarily involving the nervous system and brain. Most of the uses of bacopa come directly from its traditional use in Ayurvedic medicine. In Ayurveda, there’s a special focus on herbs with the ability to enhance the health and function of the brain. They believe that when the mind is functioning at its peak, it can connect with the spirit — which is where healing takes place. 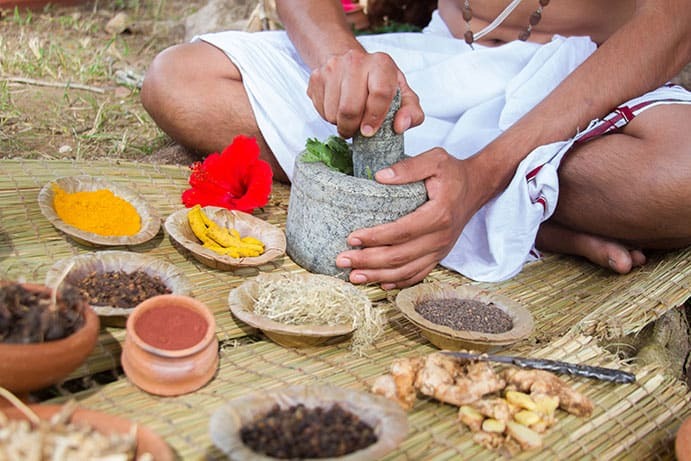 Therefore, Ayurvedic medical practitioners have spent a lot of effort in developing and understanding the cognitive benefits of plants. In fact, many of our best cognitive enhancement herbs were brought to us through Ayurveda. Ayurvedic medical practitioners have spent a lot of effort in developing and understanding the cognitive benefits of plants. 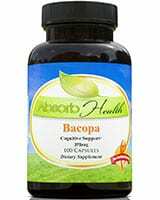 Of these herbs, bacopa is perhaps the most highly esteemed. Its Ayurvedic name Brahmi is named after the Hindu creator god Brahma. This high distinction shows how important the herb is in Ayurvedic medicine for treating both the mind and spirit. 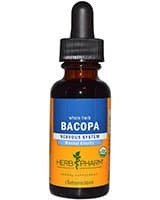 Bacopa is used as an all-around supportive agent for the central nervous system. 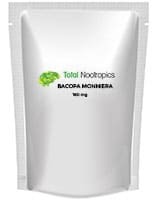 Unlike most other herbs and supplements, bacopa works on the regulatory structures in the brain — providing a trickle-down effect to other areas of neurological and hormone function. Bacopa’s effects are best summarised as a “system optimiser” for the brain — rather than a cognitive stimulant. The benefits of bacopa come from improving the health of key cognitive processes over time, and therefore needs to be taken for long periods to get all the benefits the herb has to offer. Bacopa has a lot of benefits to offer the brain, but the two primary benefits are on memory, and GABA levels. Bacopa is shown to defend against heavy-metal-induced damage to a region of the brain known as the hippocampus . The hippocampus is an integral part of the limbic system — an ancient brain structure common in all vertebrates. We need the hippocampus to both store and retrieve memories. It’s one of the first regions of the brain to begin showing damage from Alzheimer’s disease.Mu, Y., & Gage, F. H. (2011). Adult hippocampal neurogenesis and its role in Alzheimer’s disease. Molecular neurodegeneration, 6(1), 85. Damage to the hippocampus is also common in patients suffering from epilepsyDe Lanerolle, N. C., Kim, J. H., Robbins, R. J., & Spencer, D. D. (1989). Hippocampal interneuron loss and plasticity in human temporal lobe epilepsy. Brain research, 495(2), 387-395. and depression.Mulkey, R. M., & Malenka, R. C. (1992). Mechanisms underlying induction of homosynaptic long-term depression in area CA1 of the hippocampus. Neuron, 9(5), 967-975. This protective effect gives bacopa the ability to optimise cognitive functions related to the hippocampus — including mood, memory, spatial awareness, and stress resistance. It doesn’t stimulate anything in this region — and therefore isn’t considered a cognitive stimulant. The protective effects on the hippocampus and limbic system make bacopa more of a maintenance and optimisation tool than anything else. 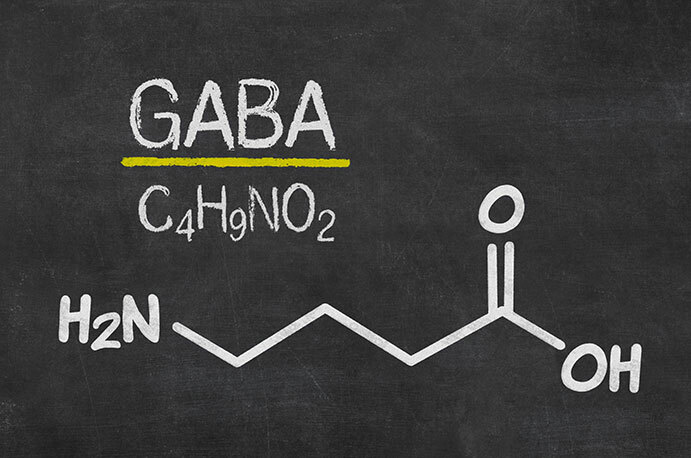 GABA is a neurotransmitter that blocks impulses between nerve cells in the brain. GABA is the primary neurotransmitter associated with the parasympathetic nervous system. This is the part of the nervous system that steps into action when we experience stress. It involves a carefully orchestrated release of hormones such as dopamine, serotonin, norepinephrine, and cortisol. These hormones and neurotransmitters work together to prepare our body to handle the stress we’re faced with. Traditionally, this stress came in the form of danger such as the likes of a hungry animal. The sympathetic nervous system gives us a boost of energy and slows down all processes not immediately necessary to fight the animal or run away. This is why we refer to this system as the “fight or flight” response. When the SNS is activated, we gain a short term boost in energy levels and cognition — but if it goes on for too long, it can cause damage to our cognitive function. In the modern world, we’re often faced with stresses like finances, relationships, and work deadlines. These stresses don’t tend to go away, so we end up being in a state of stress or SNS-activation for long periods of time. This eventually begins to take a toll on our cognitive abilities. The parasympathetic system is responsible for stimulation of “rest-and-digest” or “feed and breed” activities that occur when the body is at rest. 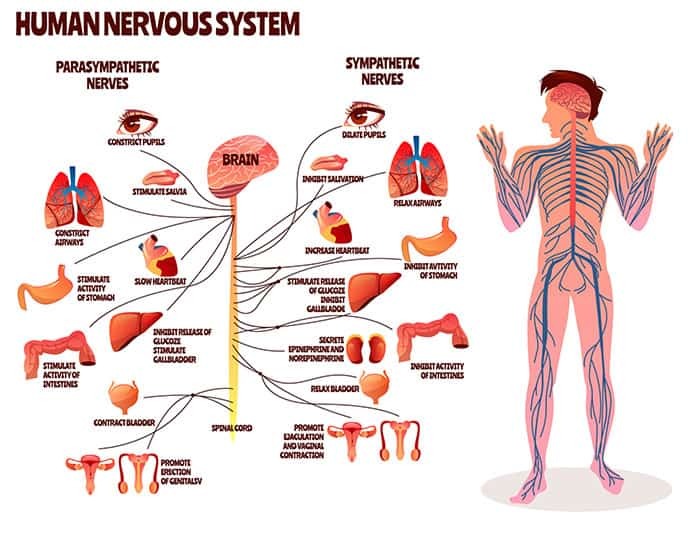 The parasympathetic nervous system serves as the counterpart for the SNS. It’s what returns the body back to normal once stress is over. It’s commonly referred to as the “rest and digest” response since it’s responsible for promoting cellular recovery, including the brain. It’s critically important to have a healthy PNS for functions like sleep, digestion, immune, and cognitive health. Most of us in the modern world experience long-term stress — and a lack of PNS activation to allow for recovery from this stress. When the PNS is activated, it turns down the effects of the SNS — making us feel more relaxed and clear headed. 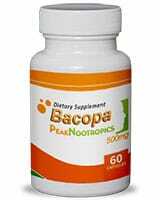 As mentioned, one of the main benefits of bacopa is to increase GABA activity — which is the main driver of the PNS. Through this effect, bacopa helps activate the PNS to allow for effective recovery within the brain. Bacopa is rich in phytochemicals like alkaloids, saponins, and sterols — all of which are common forms of medicinal action. Alkaloids, for example, are notorious for their effects on the human neurological system. Caffeine, cocaine, nicotine, and aconitine are all well-known plant alkaloids with powerful effects in humans — especially on the nervous system. 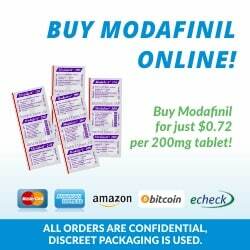 Alkaloids tend to be either stimulating or relaxing on the nervous system. Bacopa’s primary alkaloids include brahmine, and herpestine.Sharma, S., Kamal, B., Rathi, N., Chauhan, S., Jadon, V., Vats, N., … & Arya, S. (2010). In vitro rapid and mass multiplication of highly valuable medicinal plant Bacopa monnieri (L.) Wettst. African Journal of Biotechnology, 9(49), 8318-8322. Saponins are also well-known for their medicinal properties. Plants such as ginseng, gynostemma, and ashwagandha all owe much of their medicinal benefits to their saponin content. The primary medicinal saponins in bacopa are known collectively as the bacosides.Murthy, P. B. S., Raju, V. R., Ramakrisana, T., Chakravarthy, M. S., Kumar, K. V., Kannababu, S., & Subbaraju, G. V. (2006). Estimation of twelve bacopa saponins in Bacopa monnieri extracts and formulations by high-performance liquid chromatography. Chemical and Pharmaceutical Bulletin, 54(6), 907-911. The saponins in bacopa have a strong effect on the central nervous system — primarily on GABAShukia, B., Khanna, N. K., & Godhwani, J. L. (1987). Effect of Brahmi Rasayan on the central nervous system. Journal of ethnopharmacology, 21(1), 65-74. and the hippocampus.Jyoti, A., & Sharma, D. (2006). Neuroprotective role of Bacopa monniera extract against aluminium-induced oxidative stress in the hippocampus of rat brain. Neurotoxicology, 27(4), 451-457. Bacopa is also high in plant steroids, which have structural similarities to some of our hormones. This gives them the ability to interact with our endocrine (hormone) system. By interacting with hormone receptors, some of bacopa’s steroid compounds have the ability to control processes as broad as homeostasis. Sterols often offer bidirectional effects on hormone levels — increasing low hormone activity, while reducing hyperactive hormone activity. This may sound contradictory — but there is a perfectly good explanation for these effects. These steroids bind to the receptors but have a weaker effect than the hormone they mimic. When hormones are low, this increases hormone activity by activating the corresponding receptors. When hormones are high, the plant-steroids from plants like bacopa have an opposite effect by competing for a spot on the receptor — preventing the stronger endogenous hormone from exerting its effects instead of those from the plant. Bacopa contains sterols including stigmasterol, and beta-sitosterol,Sharma, S., Kamal, B., Rathi, N., Chauhan, S., Jadon, V., Vats, N., … & Arya, S. (2010). In vitro rapid and mass multiplication of highly valuable medicinal plant Bacopa monnieri (L.) Wettst. African Journal of Biotechnology, 9(49), 8318-8322. as well as a special class of steroidal-saponins — which have qualities of both steroids and saponins. More specifically, bacopa steroids affect thyroid hormones that control metabolism and energy production.Kar, A., Panda, S., & Bharti, S. (2002). Relative efficacy of three medicinal plant extracts in the alteration of thyroid hormone concentrations in male mice. Journal of ethnopharmacology, 81(2), 281-285. Bacopa is one of the most famous cognitive enhancement herbs on earth — and for good reason. The herb contains a series of medicinal compounds that affect the health of neurotransmitter production (primarily GABA), and the brain tissue itself (primarily the hippocampus). Through these effects, bacopa is used to optimise different aspects of cognitive performance, including memory, attention, and relaxation. In order to get the most out of bacopa, it needs to be taken for consistently over long periods of time. Rather than cause specific changes in the brain, it protects the brain from degenerative damage occurring over time and through exposure to compounds like heavy metals or other environmental toxins. 1. ↑ Mu, Y., & Gage, F. H. (2011). Adult hippocampal neurogenesis and its role in Alzheimer’s disease. Molecular neurodegeneration, 6(1), 85. 2. ↑ De Lanerolle, N. C., Kim, J. H., Robbins, R. J., & Spencer, D. D. (1989). Hippocampal interneuron loss and plasticity in human temporal lobe epilepsy. Brain research, 495(2), 387-395. 3. ↑ Mulkey, R. M., & Malenka, R. C. (1992). Mechanisms underlying induction of homosynaptic long-term depression in area CA1 of the hippocampus. Neuron, 9(5), 967-975. 4, 8. ↑ Sharma, S., Kamal, B., Rathi, N., Chauhan, S., Jadon, V., Vats, N., … & Arya, S. (2010). In vitro rapid and mass multiplication of highly valuable medicinal plant Bacopa monnieri (L.) Wettst. African Journal of Biotechnology, 9(49), 8318-8322. 5. ↑ Murthy, P. B. S., Raju, V. R., Ramakrisana, T., Chakravarthy, M. S., Kumar, K. V., Kannababu, S., & Subbaraju, G. V. (2006). Estimation of twelve bacopa saponins in Bacopa monnieri extracts and formulations by high-performance liquid chromatography. Chemical and Pharmaceutical Bulletin, 54(6), 907-911. 6. ↑ Shukia, B., Khanna, N. K., & Godhwani, J. L. (1987). Effect of Brahmi Rasayan on the central nervous system. Journal of ethnopharmacology, 21(1), 65-74. 7. ↑ Jyoti, A., & Sharma, D. (2006). Neuroprotective role of Bacopa monniera extract against aluminium-induced oxidative stress in the hippocampus of rat brain. Neurotoxicology, 27(4), 451-457. 9. ↑ Kar, A., Panda, S., & Bharti, S. (2002). Relative efficacy of three medicinal plant extracts in the alteration of thyroid hormone concentrations in male mice. Journal of ethnopharmacology, 81(2), 281-285.